My Uncle How-Who was my mother’s older brother. She often talked about him because growing up they played together. She said they would take turns playing each other’s games. She would play what he wanted to play and then he would play house with her. I have often wondered if this was one of the tradeoffs. One day they went behind the barn to smoke grape leaves. My mother was 5 years old. When he lit the cigarette it exploded in her face and burned off her eyelashes and eyebrows. This ended her smoking career but unfortunately not his. 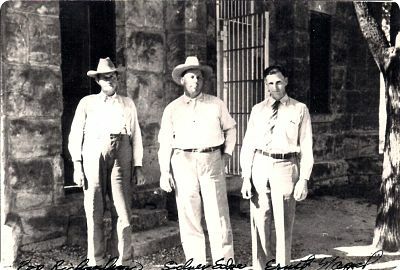 While attending Boerne High School, Uncle Howard was active in the Texas Association of Future Farmers of America. He raised lambs for show. 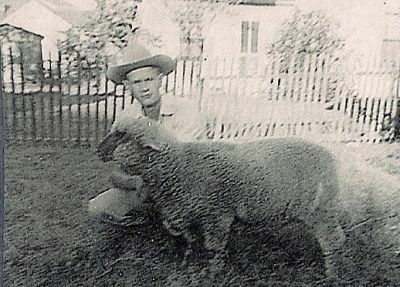 In 1940 he was recognized for fitting and showing fat lambs and in 1941 he received an award for mutton production. The family lived at the corner of Turner and San Antonio Streets on a large lot. While raising lambs and attending high school he had a job at a gas station that was located on the corner of Main and San Antonio Streets. He was working on 7 December 1941 when he heard the news about the bombing of Pearl Harbor. He ran the three blocks from the gas station to the house to tell his parents. His high school years were interrupted in 1943 when he was drafted into the Army Air Force. He became a sergeant in the 877th Bombardment Squadron with a specialty as an Army Air and Engine Mechanic 747. As part of his oversees assignment, he was stationed in Hawaii. When he returned home in 1946 he attended Fox Tech High School in San Antonio. They provided an evening program where WWII veterans could complete high school course work and graduate. After receiving his diploma, he continued his education at the Texas College of Arts and Industries in Kingsville graduating with a Bachelor in Agriculture Education. He student taught at Goliad High School in Goliad, Texas. In 1952 he taught 5th grade in Schertz-Cibolo because there weren’t any job openings for Ag teachers. The next year he was where he wanted to be teaching Ag at Southwest High School in San Antonio. He would come to Boerne to visit several Sunday afternoons a month. We always enjoyed his visits. He brought stuff, groceries for my grandmother and boxes of magazines and books and other goodies for the rest of us. He always made Christmas so much fun. He lavished gifts on all of the family. One of my favorite Christmas’ with him was while I was in college. He gave all the nieces and nephews framed goofy photographs he had taken of us when were we little. We laughed a lot that Christmas Eve. One of the goofy pictures I received. 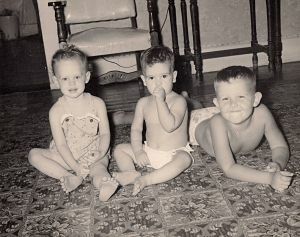 It’s cute little me with two of my first cousins. Uncle Howard made a difference in my life. I was attending Southwest Texas State and did not like my classes so I was thinking of dropping out and getting a job. He asked me how school was and I said I hated it. He asked “Well, what do you want to do?” I said I want to be a librarian. He asked a very simple question, “Why aren’t you doing it?”. Duh! Sometimes you just need a knock on the head. It was a great loss to the family when he passed away in 1975 with lung cancer. Richardson. Digital copy privately held by Kathryn Adam-Hurst. Boerne, Texas. 2014. My maternal grandfather, Paul Jones Richardson, is a relative newcomer to Kendall County. He arrived in 1932 whereas my father’s side had been living there for almost 80 years. Although I don’t know for a fact, I think Paul was named after John Paul Jones, a naval hero during the American Revolution. I think this because he had a brother named Benjamin Franklin Richardson and another named Jesse James Richardson. 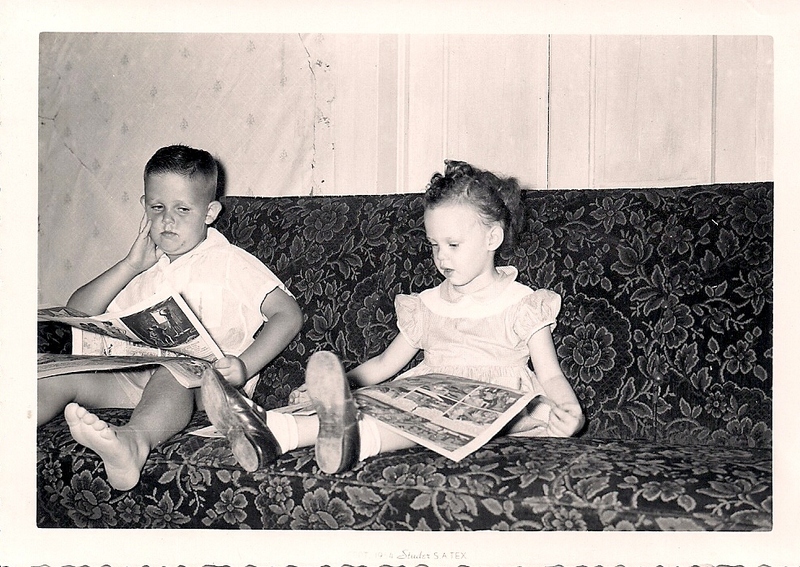 I was told my great-grandfather, Lemuel Mark, liked to read. 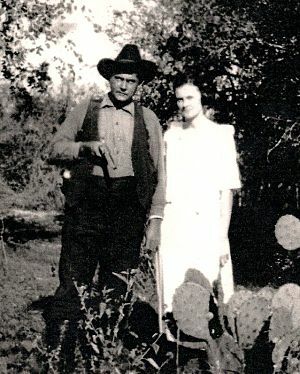 Paul was born in Wilson County, Texas 1 September 1881 on a ranch outside of Floresville. He was the second oldest son of nine brothers and one sister. My grandmother told me a story about him growing up with his brothers. He said they were rowdy bunch. His father, Mark, demanded peace and quiet at the supper table so no one was allowed to talk. If you did, you were sent from the table. He said the brothers would put hot hominy in between the other brothers’ toes trying to get them to make a sound. Can you imagine?? In 1906, Paul married Mary Roberta Watson. They made their home in Stockdale. While living there, they had three children, Lucille, Blake, and Mary Lee. A fourth child, a son, was born in April 1918 but both mother and child died. Paul worked as a Magnolia Petroleum Agent and as a Wilson County Deputy. 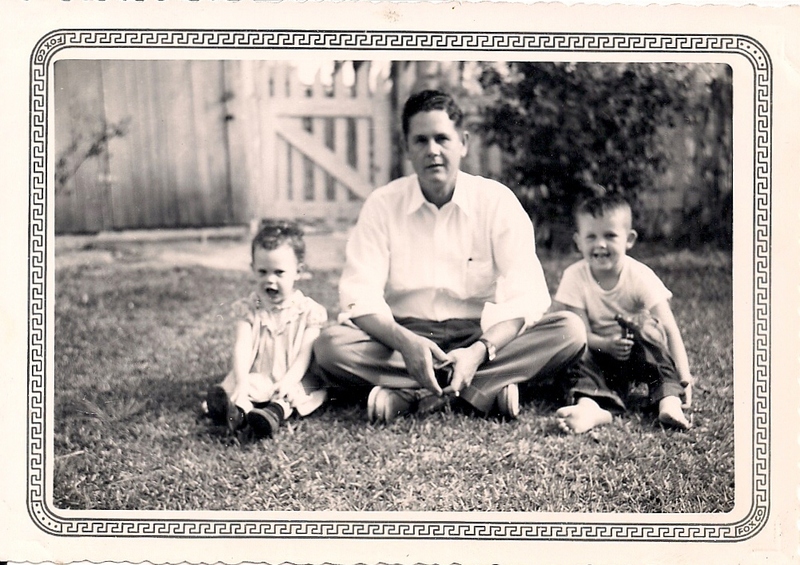 Since his children were young he needed a babysitter and he hired my grandmother, Ame, to take care of them. She lived with her parents a few door down. In 1921, they married and had three children, Betty, Howard and Sally (my mother). Looking for a change Paul and Ame decided to move the family from Wilson County to Kendall County. They purchased several hundred acres of land just outside of Boerne in Walnut Grove. After five years they sold the ranch and moved to town. 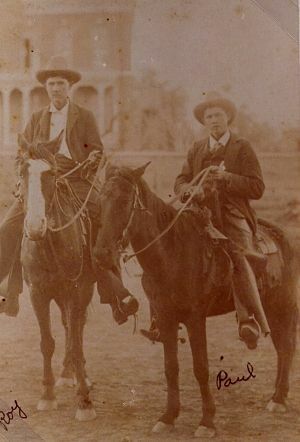 Paul became a deputy sheriff under Sheriff Sidney Edge. I have one memory of my grandfather. I used to run after my older cousin, Phil. He didn’t appreciate the joy of having a girl cousin follow him around all the time. When I was born his mother, my Aunt Betty Jean, told him he had a new girl cousin. This news made him cry. There was a huge mulberry tree in my grandparent’s yard and Phil and I were running around the tree. I remember my grandfather saying he was going to run and catch us. I remember running as fast as I could but he caught me. Phil got away. His legs were longer. I remember shrieking, laughing and getting a big hug.